Spread some softened butter on the outside of each piece of bread. 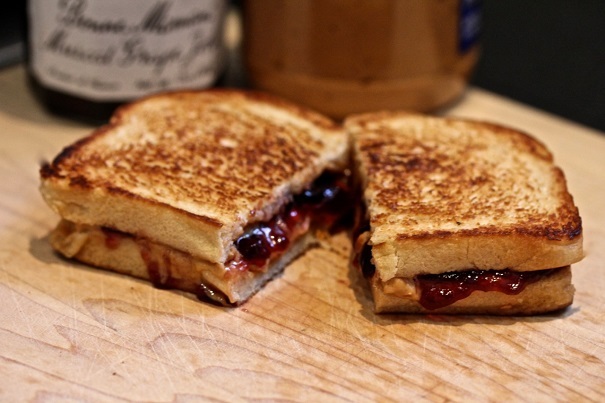 Spread peanut butter on the insides of both pieces of bread and then spread jelly on top of the peanut butter. Put the two pieces of bread together, and place in a frying pan at medium heat with a lid on top to melt the peanut butter and jelly together. Once bread is browned (3 or 4 minutes), flip and toast other side of bread until both sides are golden brown. The insides will be gooey and beginning to run out of the sandwich.